Over the next 14 years, before being cast as Spock, he had lots of TV roles — mostly westerns — but also a Twilight Zone (“Quality of Mercy”), two episodes of Outer Limits(“I, Robot” and “Production and Decay of Strange Particles”) and a bit part on The Man From U.N.C.L.E. 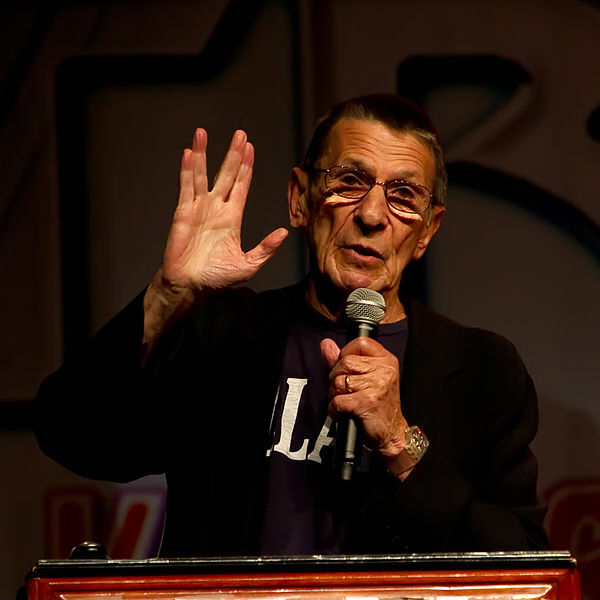 This entry was posted in Skiffy and tagged Leonard Nimoy by Mike Glyer. Bookmark the permalink.